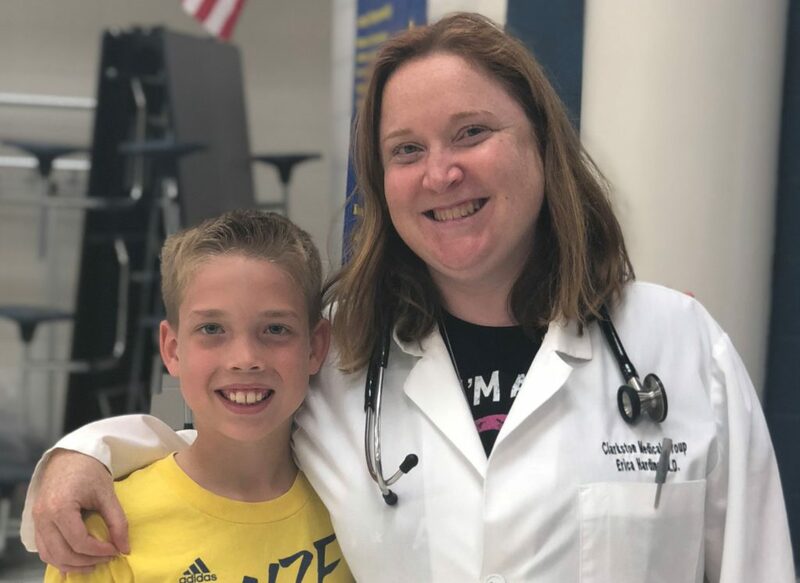 With the recent measles outbreak in southeast Oakland County, there is no panic within Clarkston Community Schools. According to Clarkston Medical Group Medical Director Erica Harding, MD, the solution to avoiding the measles in general is to get vaccinated. Measles is contracted by inhaling virus-infected particles. Infectious droplets from infected persons remain in the air for two hours, and thus, is extremely contagious. This is Michigan’s biggest outbreak of measles in the last quarter century (21 confirmed cases since March 13) and the list of locations with potential exposures continues to grow, said Clarkston Medical Group nurse practitioner Bianca Green. Harding said she has not seen any measles cases within CCS or at CMG. “I am not aware of any cases in Northern Oakland County,” she said. “I think our biggest risk as a community right now is someone bringing back measles from an international trip and exposing other unvaccinated individuals. Harding went on to say that measles cases are coming back due to low vaccination rates. Infants 6-12 months can get vaccinated earlier to protect them during this outbreak and if they plan international travel. If patients experience a high fever and a rash (they occur at the same time in measles) and suspects measles, they should call their doctor for instructions. Harding said they do not want these patients in waiting rooms and will make arrangements to avoid exposing other individuals, for example, entering through a back door. “Under no circumstances should a child go to school and they should not go to the student health center,” Harding said. “Parents can call the health center and we will advise them on where to be evaluated.